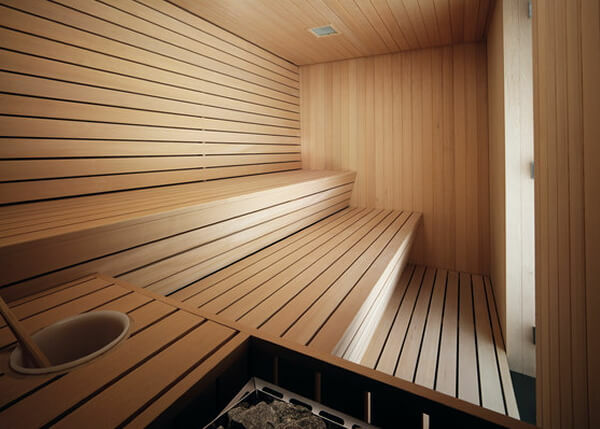 ProgibeSPA offers easy-to-install and maintain saunas and hammams for your enjoyment. 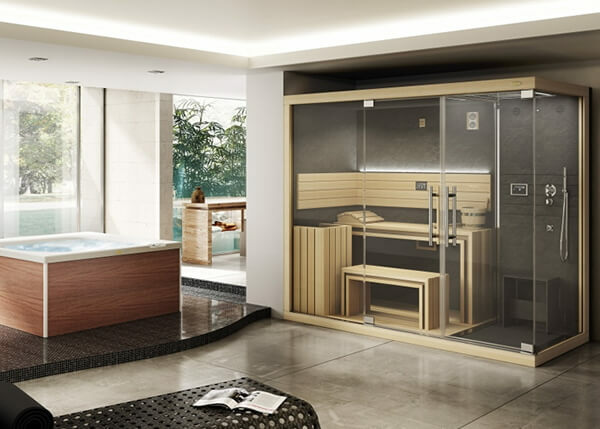 Get quality products for your real estate and enjoy in numerous health benefits of a sauna or a hammam. Our offering includes Effegibi and Jacuzzi® products. Products come in different sizes and features. The most important consideration that you should focus on are dimensions (in centimeters) and sauna power (in kW). All saunas and hammams are the perfect blend of the Scandinavian sauna tradition and modern design. We are official distributor of Jacuzzi® brand. Our experts can help you with any question or specific consideration you have. Get in touch right now and have a chat with one of our team members, arrange a visit to our showroom or simply ask for a little more information on installation, maintenance, pricing options, delivery and many more. Contact us with confidence, we have English-speaking personnel! These products are made of top-quality materials, they have modern features and give you everything you need for the maximum well-being and enjoyment. We offer two models, each of them can have many options and variants. Jacuzzi® Mood is a sauna with 2 to 8 seats in 4 customisable sizes. 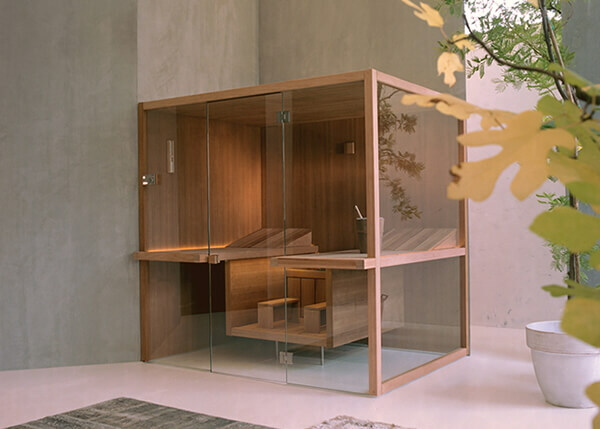 Jacuzzi® Sasha is a sauna, a shower and a hammam in just one space. 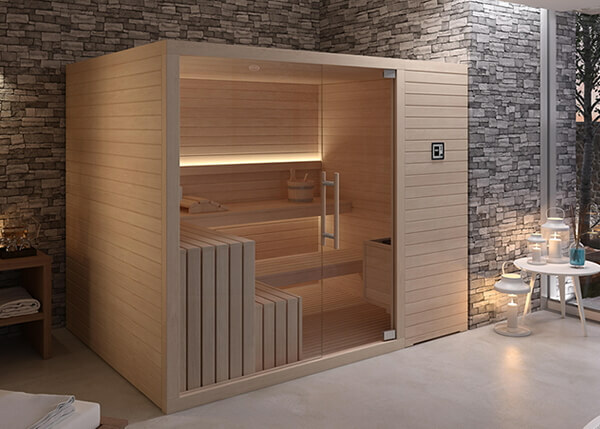 Effegibi is a manufacturer of saunas and Turkish baths for homes and public spaces. The perfect blend of tradition and innovation in stylish products dedicated to your enjoyment and health. We offer four models, each of them can have many options and variants. Effegibi Auki – A sanuna built entirely from Finnish or Canadian wood and 8mm low-emission toughened glass panels. 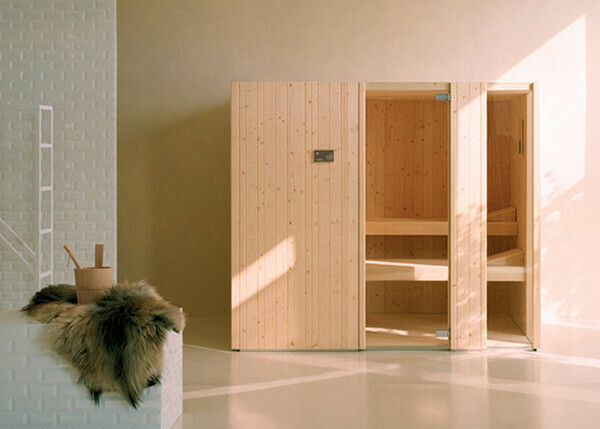 Effegibi Gym – Sections blended in a harmonious design context make Gym saunas robust and practical. 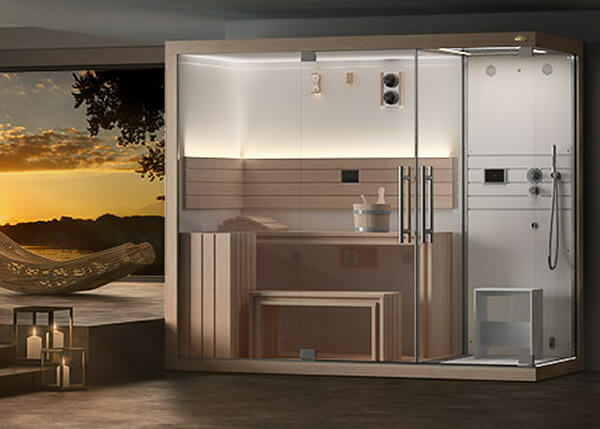 Effegibi Sky – A sauna with versatile design features, with wide glass panels reaching up to the ceiling. Effegibi Sky Corner – The larger glass surfaces emphasise the design features of this line. Get in touch today. Call us or send us an email.